Jax and Shawn continue to argue after their small altercation. Shawn says Carly fired him, but that has nothing to do with their argument. He apologizes to Carly for losing control before leaving. Jax lets Carly know that things are only going to get worst from here. He vows to drag her through the mud and claims she can’t protect their daughter. Carly’s mad that Jax doesn’t have Josslyn’s best interest and points out their fighting will hurt her. Carly wonders what Jax actually wants. She tells him that she’ll never agree to just be a visitor in her daughter’s life. She feels Joss needs both her parents and they should share custody. Carly believes Jax needs to start thinking about what is best for Josslyn. Sonny’s not happy with Brenda’s interference, but she reminds him that his kids are in danger from his business. She needs to leave a peaceful life with Alec. Brenda tells Jason that he’s the only person to take over and Jason tells Sonny he’ll do whatever he wants him to. 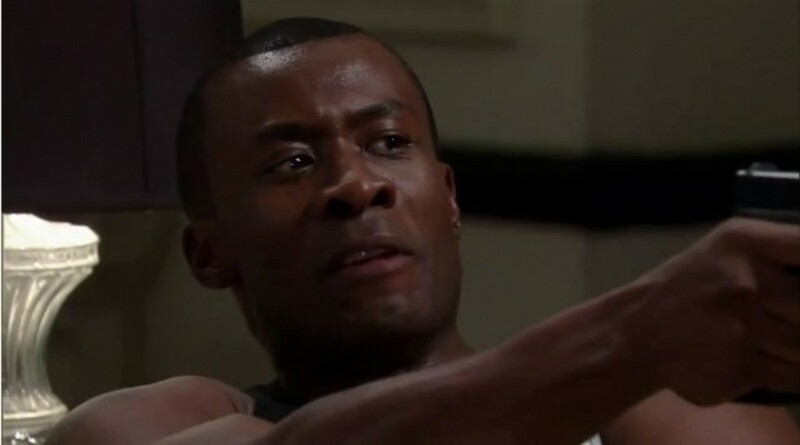 Sonny lets Brenda know that the last time he got out, Michael was shot. Sonny says he can’t retire and stay in PC, because his enemies will come after him. Also, he doesn’t want to leave his kids, so he’s in it for life. He informs her that PC is attractive to organized crime, and feels if it weren’t him, it would be someone else much worse. Brenda knows he’s in a bad position and promises she’ll handle it, but things are different because her child is involved now. Sonny promises to do his best to protect Alec. Kristina finds an upset Ethan giving away money in front of Kelly’s, so she drags him inside and forces him to eat something. Ethan’s upset that he became attached to his father, only to have Luke leave. Kristina reminds him that Luke always comes back, but Ethan thinks he won’t this time. Ethan gets a text from Maya and Kristina wonders why she isn’t there to support him. Ethan admits that he hasn’t told Maya about Luke, which makes Kris happy because he’s confiding in her. Ethan decides that he should confide in his wife and heads off. Ethan finds Maya in bed with another man. Lulu wonders if Dante thinks she&apos;s going down the wrong road with the Star. Dante tells her she needs to slow down and feels it might not be the best time to make serious decisions. He thinks she needs to do it for the right reason, and not for the wrong ones. When Lucky shows up, Lulu wonders if he’s found Luke, but Lucky admits he hasn’t gone looking for him. Lucky wants to know if Lulu blames him for their father leaving. Lulu feels they needed to give Luke time and believes she has a way to bring him back by fixing the Star. Lucky points out that Luke is raging alcoholic and being at the Star is not the smartest choice. Dante tries to defend Lulu, but Lucky doesn’t want him to feed Lulu’s denial. Before leaving, Dante reminds them both not to say anything they won’t be able to take back. Lulu tells Lucky that she wants him to do what’s best for the family and bring Luke home. Lulu blames Lucky for Luke leaving, the intervention and projecting his alcoholism onto their father. Lulu believes Luke loves Lucky more, and left because he ruined Lucky’s golden life. Lucky says Luke left because he couldn’t face his addiction and he’s not going after him. Lulu’s tired of the12-step talk and is angry he drove their father away from the rest of them. Dante goes to Jason and asks him to talk to Lucky. . He also wants him to reconcile with Luke, because everyone has suffered enough. Jason refuses to say Luke wasn’t at fault and will always blame Luke for Jake&apos;s death. However, he won’t disrespect Lucky by saying otherwise. Dante points out that Jason says Luke is arrogant, but Jason is just arrogant for not leaving the business for Michael. Carly seeks out Shawn and insists he tell her the truth. Shawn claims it wasn’t deliberate. He was given an order and followed it, but took the fall and will now try to find work elsewhere. Lucky says he never intended to drive Luke away; he only wanted to save him from his drinking. Lulu says Luke didn’t start drinking heavily until after Jake’s death. She swears their father doesn’t have Lucky’s disease, and knows that shoving him into rehab cost her their father. Lulu pulls out a bottle of Scotch and goes to town. Carly goes to Jason to explain about Shawn, and Jason promises to put different men on her security detail. Carly worries that Jax will turn his wrath on Jason and Sonny, but Jason worries he could be the reason Carly loses Josslyn. Jason says Michael was hurt because of him and explains how Dante wanted him to forgive Luke. Jason realizes he’s addicted to the job, money and risks. Carly promises he’s nothing like Luke and thinks Jason is the best person she knows. Siobhan gets home to find Lucky packing. He’s decided to go after Luke, because it’s affected Lulu. He says Luke has to come to terms in his own way. Lucky needs to find him and fix things. Dante comes back to the Star to find Lulu drunk as a skunk. She explains she yelled at Lucky and probably lost him. Dante feels she’ll have a better perspective in the morning. Lulu wants to toast, and Dante says he’ll have a drink with her. He promises to stand by her through anything. They couple shares a dance.